Industries such as automotive, aerospace, defense, life science, machinery, and high tech, benefit from Computational Fluid Dynamics (CFD). Almost every design encounters fluid dynamics at some point, whether heat or liquids, internal or external. Manufacturers no longer have the luxury of performing lengthy physical tests to understand how a design will behave. Bringing innovative, reliable products to market quickly requires simulation technology; increasing profitably and improving ROI. 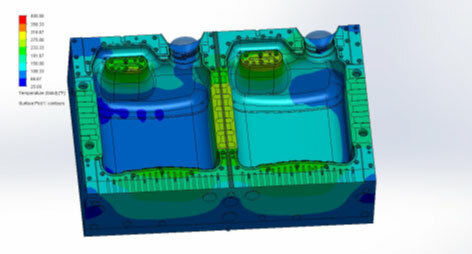 In the blow mold design process, Creative Blow Mold Tooling design engineers use Computational Fluid Dynamics (CFD) analysis to enable quick, efficient simulation of fluid flow and heat transfer. 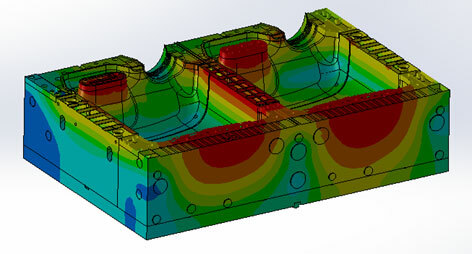 Our design engineers can easily calculate fluid forces and understand the impact of a liquid on product performance. In the above simulation, Creative engineers are able to identify in-advance, potential performance concerns. This process allows Creative to design our customers tooling right the first time. 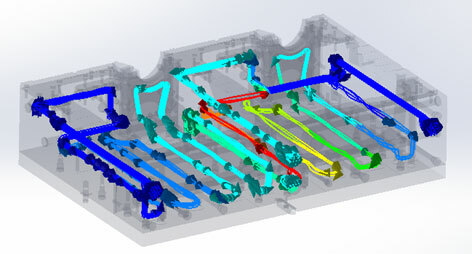 Utilizing the CFD model takes the complexity out of flow analysis and is a regular part of the Creative design process, reducing the need for costly prototypes, eliminating rework and delays, and saving time and development costs. CFD simulates the water flow passing through or around an object. The analysis can be very complex—for example, containing in one calculation heat transfer, mixing, and unsteady and compressible flows. The ability to predict the impact of such flows on your product performance is time consuming and costly without some form of simulation tool. Creative engineers understand how design modifications impact fluid flow and how changes in flow affect design behavior allowing optimization of flow and avoiding potential performance issues. Let Creative “optimize” your next new mold design. 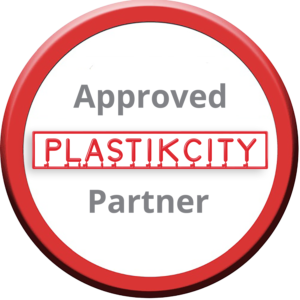 "We always try and build our molds with Creative because we know we are getting a quality mold and that your engineering team really looks out for us. If you see something that doesn't make sense you question it instead of doing something that you know may be wrong - even if the issue is on our end. We appreciate your attention to detail and it shows in the quality of your work." "We sampled both molds and the samplings went very well. Thanks for making our job easier on new mold samples."